At D.A. V. this is a unique class that combines Montessori based teaching along with text books. as per the Texas education standards. Everything that children have learned in previous years comes together in Kindergarten and First Grade. 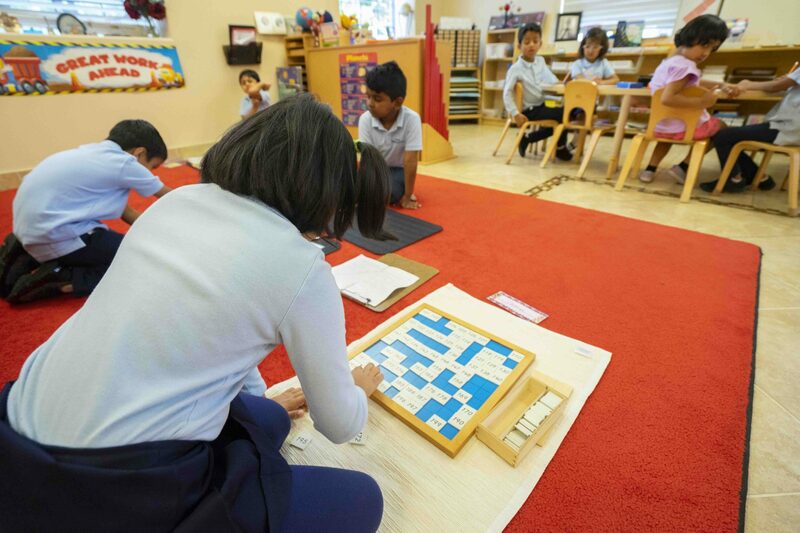 The warm and exciting environment features academically accelerated program, a language explosion leading to beginning skills in writing and reading, strong foundation of Math, science, and social studies learning Vedic Mantras and Hindi Language, Yoga, Art, P.E. music, participating in PSIA competitions, IOWA testing, and Stage performances. The challenging dual learning environment provides an extraordinary opportunity for our students to develop their leadership skills and emphasis learning through all five senses. Our meticulously designed program helps students to strengthen their own capabilities and self-esteem. We provide personalized warm-up and enrichment experiences to students based on their individual strengths and weaknesses. We also encourage and prepare our students for elementary school curriculum as they will move on to 2nd-5th grades.